You know how you'd open Kinder Eggs as a child and find a little plastic crocodile or a little wind-up car, and you'd think "hmm, well I'm a little surprised" but not overly so? Well, one five-year-old kid opened his Kinder Egg to find a bag of crystal meth. The young boy found a Kinder Surprise Egg whilst playing at the side of his road in Belfast, in a bush. Wanting to know what the surprise was inside, the boy opened the egg and found a bag of the class-A drug Methanphetamine, rather than one of those little gnome figurines with his bum out. Police confirmed that the bag of drugs found within the Kinder Egg was crystal meth, the drug dealt by Walter White in TV show Breaking Bad. 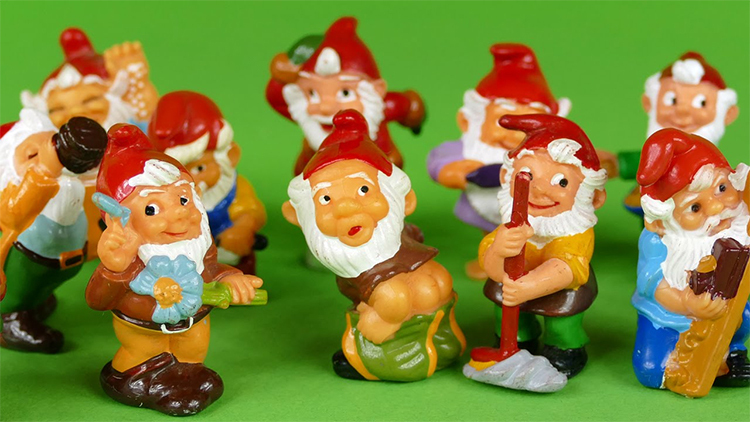 Remember these gnomes? You ate a Kinder Egg in the 90s. Whilst we're here, what the hell was going on with that gnome with his bum out? Is he peeing? Why was this an acceptable children's toy in the 90s?? The young boy and his brother first handed the egg over to their dad, probably assuming the meth required complex assembly, and would end up looking like a car. The father, recognising it as a disassembled bag of drugs, handed it over to the police. Local councillor Alan Robinson told the Star it was lucky the children didn't eat the contents of the egg. "As a father of a child, I know how enticing Kinder eggs and their contents are to children." "In this instance the children are to be commended for passing the contents to their parents." "This weekend the Limavady community could have been learning about a tragedy and I therefore make a community appeal asking for vigilance." "Our children are precious and they should not be exposed to such danger." "That something so potentially dangerous has been discarded where children could find it is deeply concerning." Surprising, though. Definitely genuinely surprising. 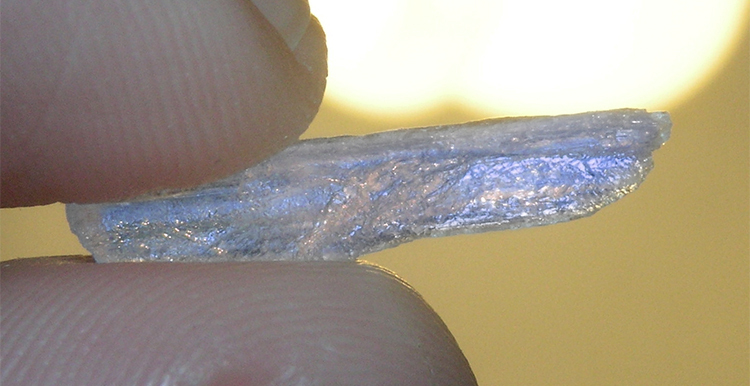 Crystal meth, without the blue tinge we're all used to from TV. 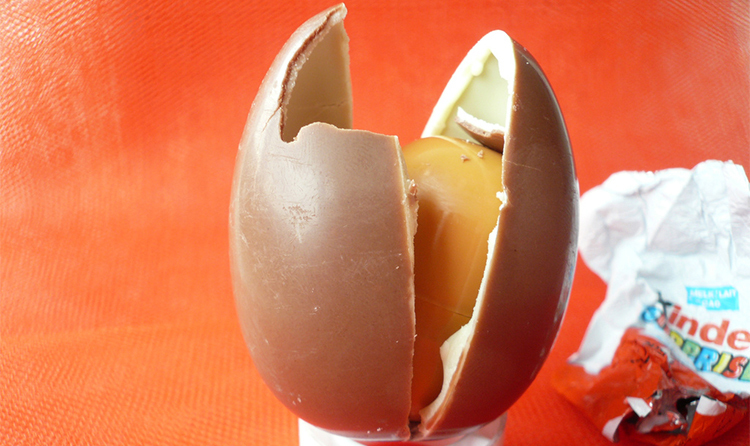 Last year a gang of drug dealers in Germany were discovered using Kinder Eggs to conceal drugs. The criminals opened up Kinder Eggs, discarded the contents of the plastic tub inside (or maybe play with it themselves, who knows) and then replaced the contents with drugs. They then resealed the eggs by melting the chocolate slightly, and placing them back together. The criminals were discovered with 330g of amphetamines, 400 ecstasy tablets, 19g of heroin, 110g of cannabis and 75 LSD tabs, some of which was already concealed inside Kinder Eggs.